This story starts, as all great stories do, with a great upheaval. 150 million years ago, the shifting of vast continents caused a volcanic eruption that created the great escarpment that we call the Drakensberg. 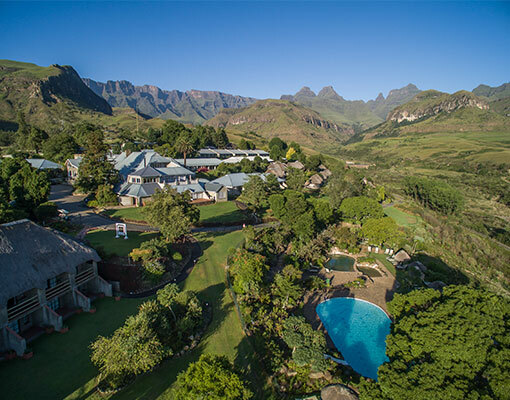 The passing of time and the shifting of seasons have carved this majestic mountain range into the imposing peaks and lush ravines that the Cathedral Peak Hotel calls home today. When Albert van der Riet visited the area in the early 1900s, his imagination was captured by the beauty of the mountains, and the vibrant fauna and flora. As his eyes played over the valley, he saw a vision of a secluded hotel that would be closer to the mountains than any other hotel at the time. 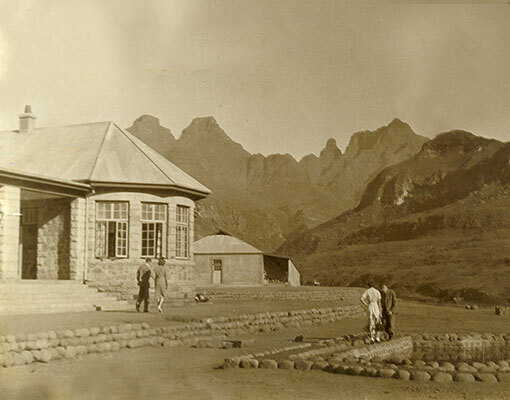 After acquiring the land in mid 1930s, Albert set to work building a road to his new land, training local labourers, laying down infrastructure, and harvesting local stone and rock to build his hotel. 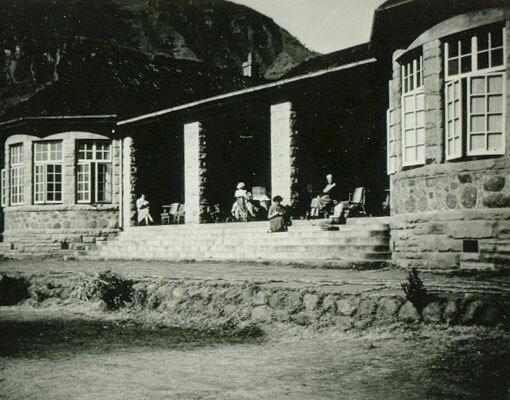 The doors of the partially-completed 43-room hotel were opened in 1939, and guests enjoyed guided walks through the ‘berg, horse rides, and evenings of dancing and entertainment in the hotel’s lounge. As the world began to enjoy itself again after the end of World War II, the hotel really started to thrive. Albert and his growing family continued to build on his vision, expanding the hotel, adding new recreation facilities and improving the infrastructure. 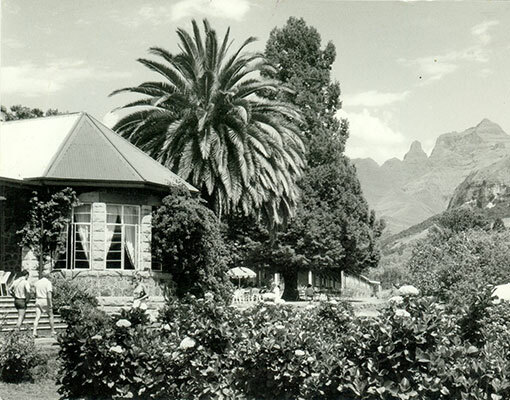 Cathedral Peak Hotel began attracting guests from all over the country and the world. 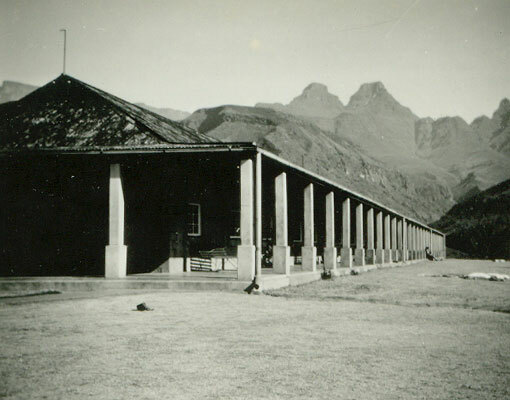 The legacy of family-owned and run hospitality and entertainment can still be seen in the Cathedral Peak Hotel, with sections of the original building having been incorporated into the contemporary structure. Upon Albert’s passing in 1987, the hotel stayed in the family, with the reins being taken up by his son, William. Together with his wife, Belinda, he ensures that Albert’s glorious vision is kept alive in the grandest fashion to this day. Their eldest son, Byron and his wife, Samantha have joined the fold, and are set to become the third generation of van der Riet Family to run the hotel. Now, 80 years since the hotel first opened its doors, guests are graciously accommodated in 104 spacious rooms, from interleading family rooms to private honeymoon suites and the exclusive, secluded Presidential Suite. The sophisticated dining room offers an extensive buffet and superb cuisine, personally supervised by the hotel’s first-class chef, and an after-dinner drink and game of pool or darts can be enjoyed at Harry’s Late Night Bar. And for those charming afternoons of watching the mountain peaks bask in the last rays of sunshine, there is no better place to be than Albert’s Cocktail Bar. Far from the gramophone and candles of the original hotel, the Cathedral Peak Hotel boasts a vast range of exciting recreation activities. Guests will delight in the cold and heated pools, tennis courts, horse rides, trout fishing, mini-golf, volleyball, archery, quad bikes, climbing tower, spa, gym and steam room, and a picturesque 9-hole golf course with alternate tees for an 18-hole game. An in-house entertainment team keeps kids and adults alike busy with loads of fun activities and events during peak season, and helicopter sightseeing tours are always a firm favourite. The surrounding mountains are a treasure trove of scenic hikes for both serious hikers and casual walkers, mountain bike trails and outdoor climbing. 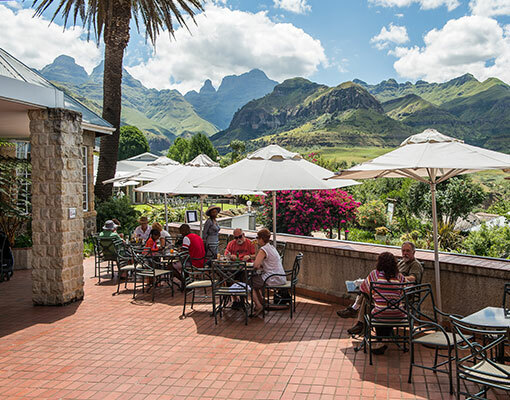 Home to thousands of rock paintings by the original San inhabitants, the uKhahlamba Drakensberg Park was proclaimed a World Heritage Site in 2000, and the hotel provides free daily guided hikes with friendly guides who know just where to find the best art, geological features and views. The peaceful surroundings and fully-equipped conference facilities provide the ideal environment for team-building events and professional conferences. The hotel’s charming stone chapel with its magnificent views is the perfect setting for a memorable wedding, hosting up to 120 guests. 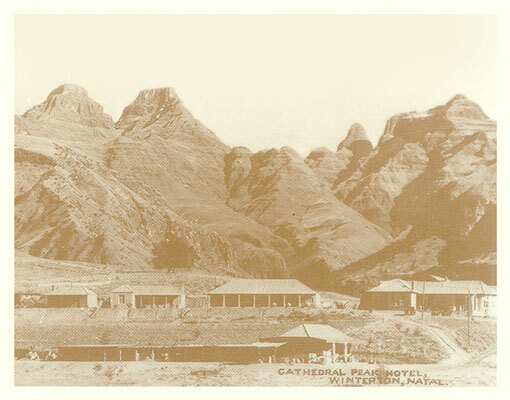 As we celebrate our 80th anniversary of providing unrivalled luxury accommodation and adventure amongst the glorious Drakensberg, it’s a privilege to be able to look back on an unbroken history of family-owned and run hospitality. 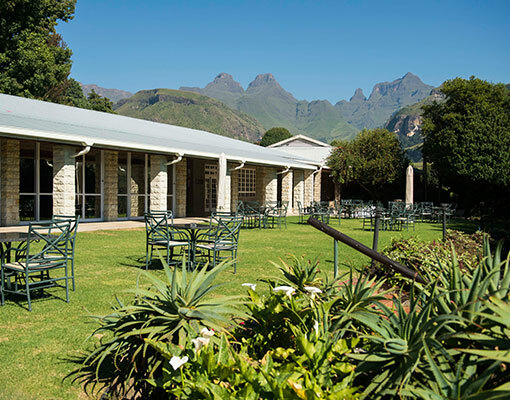 Whether you’re looking for a relaxing family holiday, a romantic getaway, an idyllic wedding or a successful conference, you won’t find a better experience than at Cathedral Peak Hotel.